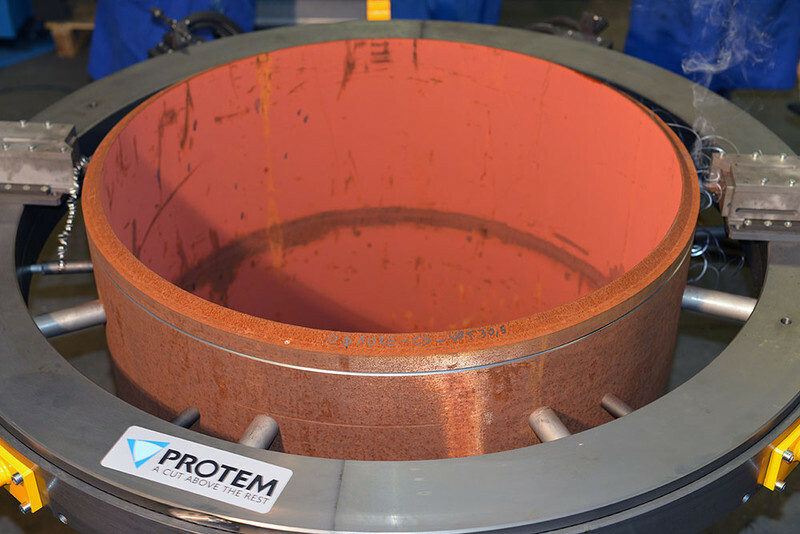 Based in France and in Germany, PROTEM is a manufacturer of machining equipment. The orbital cutting & beveling machines, and generally speaking all of our machines, are designed, manufactured and assembled in our premises in France and Germany, ensuring perfect control of the process and the ultimate quality of our equipment. All our machines are manufactured in conformity with European standards. The TTNG machines have been designed so that a sole operator can handle, set and adjust the machine for machining. They can be opened and hooked to ease the mounting on a pipe. The two half-shells remain linked through a hinge so that only one operator is required to operate the TTNG. 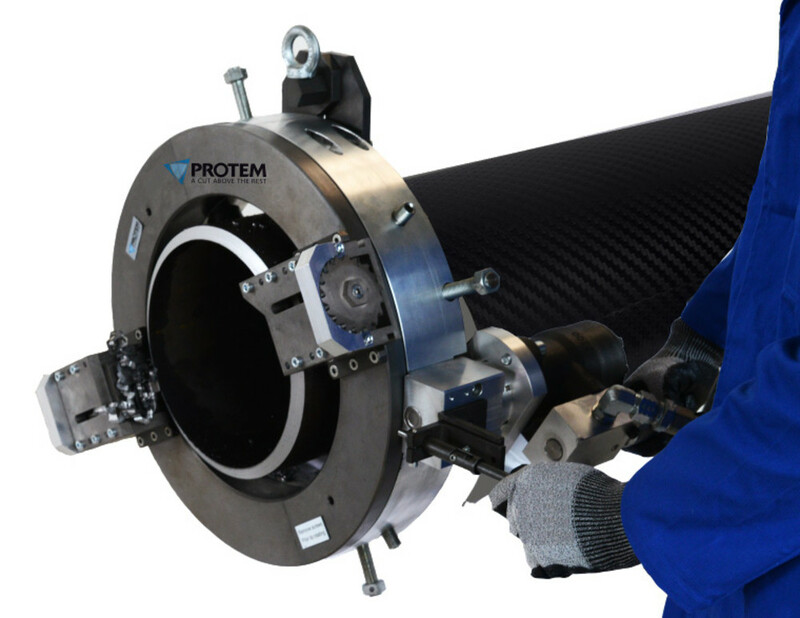 PROTEM has developed and implemented a cutting edge technology to rotate the tool holder ring. It is guided in rotation by V rollers with dual ball bearings. The design of these rollers allows a balanced distribution of the cutting forces, increasing the lifetime of the mechanical parts and cutting down the need for maintenance. Mounted on eccentric pins, they can be easily adjusted during maintenance operations. Furthermore, this technology provides very smooth machining and thus, reduces the noise level, preserving a healthy environment for operators. The tool holder ring and the tool carriages are completely enclosed and chip-proof. No chip can affect the behavior/quality of the machine. 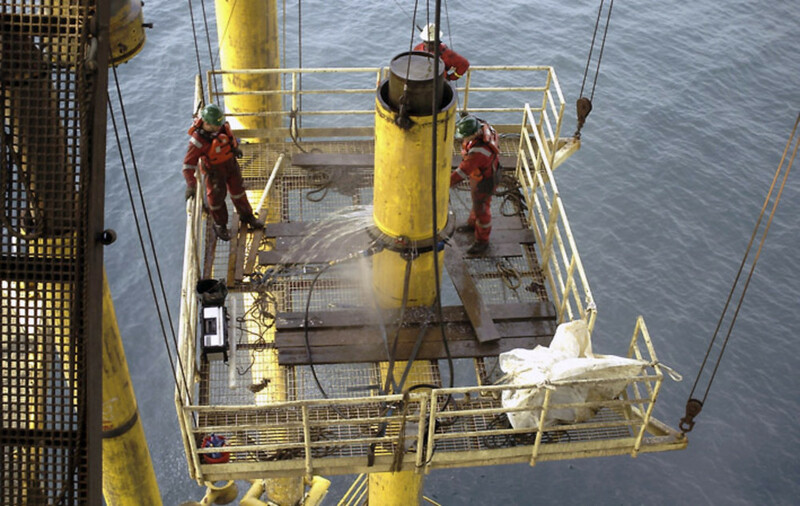 In order to provide a safe environment, the TTNG have a low clearance, are light weight, with a reduced swing diameter and are delivered with Makrolon® protection for the safety of the operator. 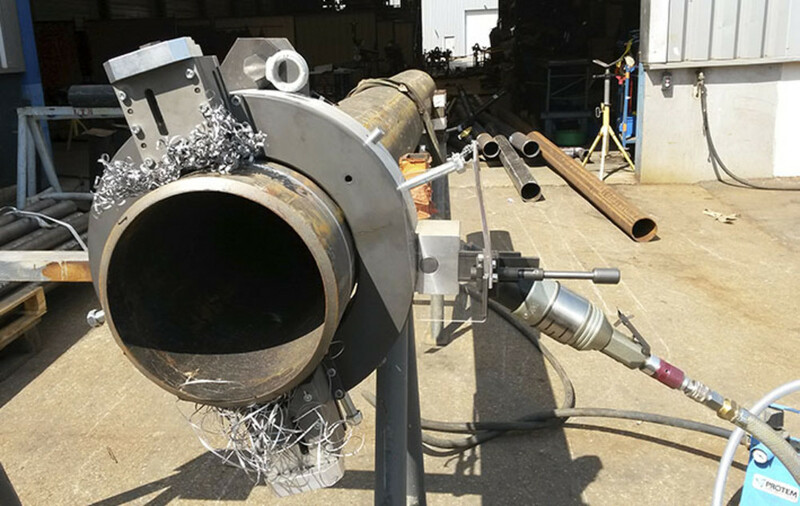 The tube cutting machines of the TT-NG series are accurate in cutting and/or beveling tubes and pipes of all schedules individually or in one simultaneous operation. 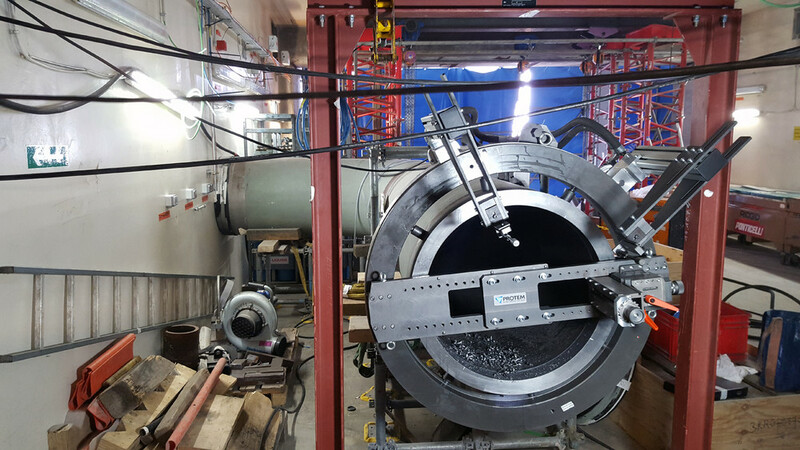 These machines are especially designed to machine heavy wall tubes and pipes. They are very robust and can be installed in various positions. Their split frame configuration allows their opening in 2 half-shells. For the manual clamping independent adjustable jaws are used. The machines have a rear centering feature and completely enclosed drive gears for the operator safety. 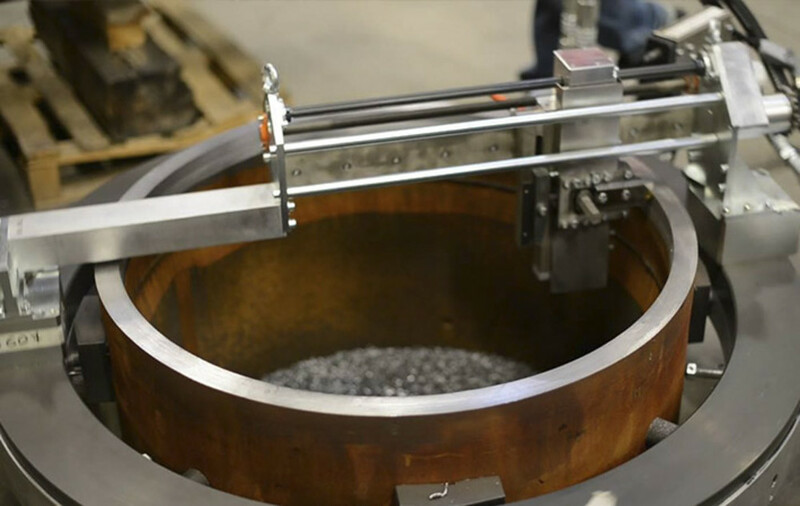 The TT-NG can be equipped with ovality copying slides enabling to correct the defects of ovality of tubes and pipes. They can also be remotely controlled for operations in areas under ionizing radiations. No heat affected zone! Manual with key. Possibility for automatic clamping system.